Educational Qualification: Ph.D(NITW), M.E, B.Tech. Areas of Specialization: Robotics, Industrial Engineering, CAD/CAM. At Central Institute of Tool Design Courses attended (CITD), Balanagar, Hyderabad, on CAD/CAM subject for one month in 1991. At M. S. Ramaiah Institute of Technology, Bangalore on CAD/ CAM and Robotics for one week in 1996. At Godavari Fabricators Ltd. Patancheruv, Hyderabad on nondestructive testing (NDT) of welded and foundry parts for one week in 1992. One month training at BHPV Ltd. Vizag in 1986. At I.I.Sc., Bangalore on “ECE Education“ during July 12 and 13th 1996. At Vasavi College of Engg., Hyderabad on “Application of Computer Graphics in Engg.” During 2nd to 14th March’1998. Regularly attending the “Partnership” summits organized by Confederation of Indian Industries (CII), New Delhi. Technical Papers are presented at various national and international conferences including Hong Kong and other parts of China (Dec-2001) and Nepal(Aug-2000). Regularly attending the summits organized by Confederation of Indian Industry, Mumbai from 2002 onwards. Attended a short term program on “Computational fluid Dynamics” at NIT Warangal in January, 2007 for two weeks. Attended a short term program on “Computational fluid Dynamics” JNTU College of engineering, Anantapur in May, 2007 for one week. Attended Engineering congress conducted at NIT Warangal during December 12th to 15th, 2008. Attended a workshop on Opportunities of getting R&D funds for educational institutions” at Anna University, Coimbatore in October, 2009. Attended Indo US Collaboration Center for Engg Education (IUCEE) training program in Teaching Methodology in July, 2009. Attended Engineering congress conducted at NIT Suratkal during December 10th to 13th, 2009. Training of trainers course in RTI act at Dr. MarriChenna Reddy Human Resource. 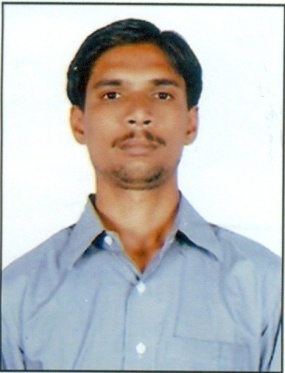 Development Institute of A.P, Hyderabad from 30-4-2012 to 2-5-2012. Academic leadership Programme for Principals by Wipro Technologies Ltd, Hyderabad from 22nd to 25th JANUARY 2012. NBA workshop on accreditation process at JNTU Anantapur from 17th to 19th July, 2013. Attended Management development programme for senior faculty members at INDIAN SCHOOL OF BUSINESS, HYDERABAD, INDIA, from 23rd to 24th December, 2013. Attended Faculty development programe in Portblair, Andaman Nicobar Irland, India organized by National Productivity, New Delhi from 10th to 14th February, 2014. 7th IEEE international Conference on Methods and Models in Automation and Robotics held at Poland during 28-31 August 2001 on “Performance Modeling of Automated Manufacturing systems by Simulation Optimization. International Conference on Logistics and Supply chain Management held at P.S.G. Institute of Technology, Coimbatore, during August 6 – 8th August’2001 on “Simulation Optimization in jobshop scheduling through evolutionary algorithms – a cade study”. 19thAIMTDR Conference held at IIT, Madras in December 200 on “Capacity utilization with cost effectiveness in a grinding wheel industry with emphasis on sequencing scheduling”. International Conference on Intelligent autonomous flexible manufacturing systems, held at Coimbatore Institute of Technology, Coimbatore in December’1999, on “Capacity utilization by identifying the bottleneck area in manufacturing industry – a case study”. International Conference on Forum on Management Challenges, held at Pokhara, Nepal during 20-22 August’2000 on “Assimilation of e-commerce with production planning and control—a perspective”. International Conference on Forum on Management Challenges, held at Pokhara, Nepal during 20-22 August’2000 on “A Simulation of Automated guided vehicle based material handling systems for flexible manufacturing systems”. 17th AIMTDR Conference held at REC, Warangal during January’1997 on “Lagrangian Relaxation approach to scheduling problems –a case study”. SCMIS’2001 International Conference held at Hong Kong during 17th – 19th December’2001 on “Capacity utilization and scheduling using Lagrangian Relaxation Technique –a case study”. International symposium on Hollow structures held at World habitant centre, New Delhi in May 1998, on “Optimization of hollow structures”. International conference on Operations research for Development (ICORD), to be held at Anna University, Chennai, during 27-30, December, 2002 on “Effect of Gamma using Lagrangian relaxation technique for machine scheduling”. International Conference on “e-manufacturing” at R.E.C, Bhopal, during 16-19, November, 2002 on “Lagrangian Relaxation Technique for machine scheduling with earliest penalty- a case study”. International Conference on Asia pacific industrial engineering and management systems at Taipei,Taiwan, during 18-20, December, 2002 on “Scheduling of Multiclass Manufacturing Systems using simulated annealing and Lagrangian Relaxation technique”. 1st Multidisciplinary International Conference on Scheduling: Theory and Applications held in School of Computer Science and Information Technology, University of Nottingham, U.K., during 17-21, August, 2003, on “Performance of Lagrangian relaxation technique for critical analysis of scheduling problems”. National level conference on Manufacturing Modeling analysis at St. Josephs college of Engg, Chennai on 2and 3rd February, 2004 on ” IT enabled Supply chain management”. 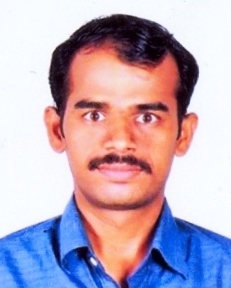 VenugopalreddyV(August, 2007) & CNV Sridhar “Web Oriented Process Capability Evaluation: Integrated With E-Manufacuring – A Case Study” Journal of SCOUR- Institute of Productivity Management., vol 1, No.2 pp 62-67. V.Venugopalreddy, GPP Reddy, (2010) Int Journal 0f six sigma and competitive advantage, “ Process improvement using Six Sigma – a case study in small scale industry”. V.Venugopalreddy, GPP Reddy, (Nov, 2010) Quality world journal, “ Role of experiments in six sigma”. 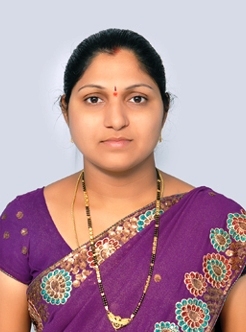 V.Venugopalreddy, GPP Reddy, (March, 2011) Industrial Engineering (IE) Journal, “Process improvement using Six Sigma – a case study in small scale industry”. CNV Sridhar, V.Venugopal Reddy and K.Vijaya Kumar Reddy “Vendor Selection Criteria and approaches: A review” journal of IMS group in JULY 2011. GP Reddy and V.Venugopal Reddy, “Multiple response optimizations using experimental design”. Industrial Engineering Journal, VOL-V & Issue no:5 on May 2012. V.Venugopal Reddy, “Effect Of Gamma And Time Horizon In Lagrangian Relaxation Technique In Scheduling OfMachines”in International conference, “Operations research for data analysis & decision making” from 21st and22nd October 2013 held at University of Kashmir. V.Venugopal Reddy, KL Narsimhulu, “Optimal Allocation in Tandem closed queuing Network with Multi servers using PSO”in 3rd International conference proceedings of Soft Computing, Artificial Intelligence and Applications (SAI-2014) held during 7th and 8th Nov, 2014 at Dubai. V.Venugopal Reddy, KL Narsimhulu,Optimization of Buffer Allocation inManufacturing System using Particle Swarm Optimization. ; International Review on Modelling and Simulations (IREMOS). Italy, March 2015. 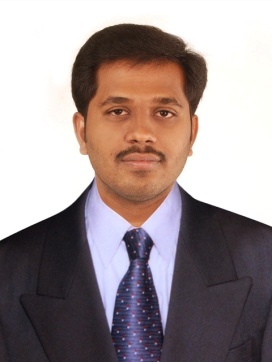 V.Venugopal Reddy, KL Narsimhulu, Optimization of Buffer Allocation in Tandem Closed Queuing Network using Symbiotic Organisms Search; International Journal of Applied Engineering Research (IJAER), India., May 2015. V.VenugopalreddyDevelopment of Robot simulation [program for polishing shrouded 3D impeller; Indian technology Congress, held at Bangalore during 29-30 July 2015. V.Venugopal Reddy optimization of “Cutting Parameters for Surface Roughness and MRR by using Grey Based Taguchi Method on CNC Turning Machine “Indian technology Congress, held at Bangalore during 29-30 July 2015. Dr. V. Venugopal Reddy, B. Lakshmi Sai”3D Printing For Different Casting Patterns” International Journal of Advance Engineering and Research Development (IJAERD )Volume 4, Issue 8, August-2017, E-Issn:2348-4470, Print-Issn:2348-6406. Dr. V. Venugopal Reddy, S. ChinnaRao”Solar Water Condensation Using Thermoelectric Coolers” International Journal of Advance Engineering and Research Development (IJAERD), Volume 4, Issue 9, September-2017, E-Issn:2348-4470, Print-Issn:2348-6406. 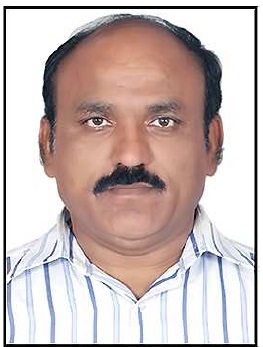 Dr. V. Venugopal Reddy, P. Vikramsimha Reddy “Analysis Of Engine Diagnosis Tools For Detecting Trobule Codes In Automobiles” International Journal of Advance Engineering and Research Development (IJAERD )Volume 4, Issue 8, August-2017, E-Issn:2348-4470, Print-Issn:2348-6406. Dr. V. Venugopal Reddy “Engine Diagnosis for Detecting Errors”International Journal of Advance Engineering and Research Development (IJAERD ), Volume 04 Issue 09, September-2017.e- ISSN: 2348 – 4470, p-ISSN: 2348-6406. 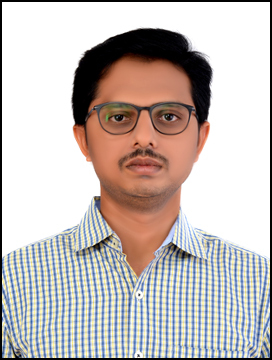 Dr. V. Venugopal Reddy “Design analysis and fabrication of Copper patch panel” International Journal of Advance Engineering and Research Development (IJAERD ), Volume 04 Issue 09, September-2017.e- ISSN: 2348 – 4470, p-ISSN: 2348-6406. Dr. V. Venugopal Reddy, G. Manohar”Study And Effects Of Making Grooves On Piston Head And Performance Test On Single Cylinder CI Engines” International Journal of Advance Engineering and Research Development (IJAERD ),Volume 4, Issue 11, November-2017, E-Issn:2348-4470, Print-Issn:2348-6406. 1. Attended for “Rapid Casting Techniques” organized by GNIT, Hyderabad from 27- 11-2017 to 09-12- 2017. 2. Attended for “Advances In Product Design And Manufacturing” organized by MNIT, Bhopal from 03rd to 08th January- 2017. 3. Attended for “Managemant Developement Program for Improved R&D and III” organized by Administrative Staff College of India , Hyderabad from 19th to 23rd September – 2016. 4. Attended for “Life Long Researchers(LLR)” organized by SVNIT, Surat from 08th to 12th Feb- 2016. 5. Attended for “Entrepreneurship Development” organized Andhra University, Visakhapatnam from 16th to 18th December- 2015. 6. Attended for “Communication And Presentation Skills” organized by IMTR,Goa from 21st to 25th September- 2015. 7. Attended for “Advanced Aerospace Materials Processing,Characterization and Applications Materials and Manufacturing” organized by IIT Roorkee from 01st to 05th June- 2015. 8. Attended for “Continuing Professional Development Programme on Formulation of Research & Development Initiatives for Scientists and Technologists” organized by ESCI, Hyderabad from 16th to 19th September – 2014. 9. Attended for “Essential Techniques for Research problems in Materials and Manufacturing (ETRPMM” organized by Mechanical Engineering Department, Warangal from 14th to 18th April 2014. 10. Attended for “Pedagogy Training” organized by JNTUA College of Engineering, Pulivendula from 01st to 05th March 2014. 11. Attended for “CFD application using Star CCM+” organized by Department of Mechanical Engineering, JNTUA College of Engineering, Pulivendula from 16- 18 Jan- 2014. 12. 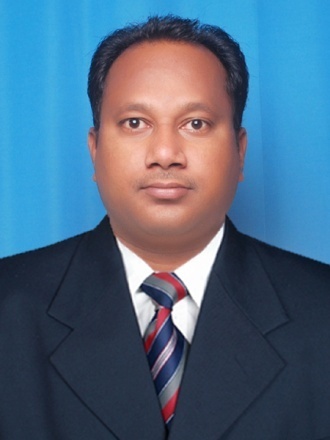 Attended for “AUTOCAD 2011” organized by Department of Mechanical Engineering, JNTUA College of Engineering, Pulivendula from 22- 25 November- 2011. 1. K.Chandra Babu, Y.Rameswara Reddy “Optimization of Turning parameters for SS304 Stainless Steel using the Response Surface Method” Presented in NC-eTIME-16 National Conference, Mechanical Engineering Department, JNTUACE, Anantapuramu- 27th August 2016. 3. Y.Rameswara Reddy, Dr.B.Chandra Mohan Reedy “Optimization of Surface Roughness MRR Turning operation using Extended Taguchi method” Presented in NCETMESD-14 National Conference, RGMCE, Nandyal, 22 March 2014. 4. Y.Rameswara Reddy, Dr.B.Chandra Mohan Reedy “Prediction and Analysis of Surface Roughness of An Aluminium Alloy Materials Using ANN in CNC Turning” Presented in NCIME-13 National Conference, MITS, Madanpalle,21-22 June 2013. 1. Y.Rameswara Reddy, Dr.B.Chandra Mohan Reedy “Optimization of WEDM parameters for SUPERNI-718 using Neutrosophic sets and TOPSISMethod” Presented in ICIME-18 1st International Conferenceon Innovations in Mechanical Engineering, Guru Nanak Institute of Technology, Hyderabad ,05th -06th January- 2018. 1. Y.Rameswara Reddy , P.Muni pavan kumar reddy, S. Rajendra Prasad “ Experimental Investigation of Machining Parameter for AJM usining Nimonic alloy75” ” Published in IJTIMES, Volume 04- Issue 08, August-2018. e-ISSN : 2455 – 2585 , UGC Approved, Impact Factor: 5.22. 2. Y.Rameswara Reddy , Dr.B.Chandra Mohan Reedy ” Optimization of WEDM Parameters for SUPER Ni-718 Using GRA with Neutrosophic Sets ” Published in International Journal of Applied Engineering Research , Volume 13 Issue Number(12) June-2018 pp 10924-109430. e-ISSN : 0973 – 4562, , UGC Approved, Impact Factor: 0.14. 3. Y.Rameswara Reddy , Dr.B.Chandra Mohan Reedy ” Experimental investigations on MRR, Surface Roughness and Dimensional Deviation of SuperNI-718 alloy steel in Wire-EDM using Taguchi Method ” Published in IJREAM , Volume 04- Issue-03 June-2018 pp 354-359. e-ISSN : 1943- 023X, , UGC Approved, Impact Factor: 5.646. 4. Y.Rameswara Reddy , Dr.B.Chandra Mohan Reedy ” Experimental investigation and Multiobjective optimization for Wire EDM using TOPSIS and SVNS method” Published in International Journal of Advance Resrach in Dynamical & Control systems , Volume 10-06 Special Issue May-2018 pp 29-38. e-ISSN : 1943- 023X, , UGC Approved, Impact Factor: 0.22. 5. T. Venkata Nagendra kumar, Y. Rameswara reddy “Design of 20-30 MW Radial inflow steam turbine for power generation” Published in IJAERD Volume 04 – Issue 12, Dec-2017. e-ISSN : 2348 – 4470, , UGC Approved, Impact Factor: 4.72. 6. Y.Rameswara Reddy “Optimization of EDM Process Parameters on hard Ti alloys by using Grey Taguchi technique “ published in IJAERD Volume 04- Issue-11 November-2017 pp 2348-6406. e-ISSN : 2348- 4470, UGC Approved, Impact Factor: 4.72. 7. B.Yuvaraju, Y.Rameswara Reddy “ Modeling and Fabrication of movable headlamp system in automobile” Published in IJAERD Volume 04 – Issue 8, Aug-2017. e-ISSN : 2348 – 4470, , UGC Approved, Impact Factor: 4.72. 8. K.Pavan Kumar Reddy, Y.Rameswara Reddy & R.Vishnuvardhan Reddy”Optimization of Surface Roughness and MRR in Turing operation Using Extended Tahuchi Method” Published in IJER, Volume 04 – Issue special, March-2014. e-ISSN : 2319 – 6890, , UGC Approved, Impact Factor: 1.632. 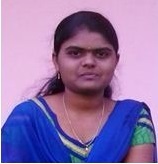 Attended a “FDP on AUTO CADD 2011” at JNTUA College of Engineering Pulivendula from 22nd to 25th November 2011. Attended a five workshop “MISSION 10X” Faculty Empowerment Program conducted by Wipro Technologies at JNTUA College of Engineering Pulivendula from 26/12/2011 to 30/12/2011. Attended A One Week Workshop on “SOLIDWORKS SOFTWARE” at JNTUH College of Engineering Hyderabad from 28th January to 2nd February 2013. Attended a Quality Improvement Program “A Short Term Course on Applications of Lasers in Manufacturing” at Indian Institute of Technology Guwahati from 24th – 28th June 2013. Attended a Short Term Training Course on “Pedagogy Training – Module – I” at NITTTR Chandigarh from 25th – 29th November 2013. Attended a Quality Improvement Program “A Short Term Course on Modeling and Simulation Using Finite Element Methods” at Indian Institute of Technology Roorkee from 7th – 11th January 2014. Attended a Two Day Faculty Development Program on “CFD Applications using Star CCM+”at JNTUACE Pulivendula under TEQIP – II on 16th & 17th January 2014. Attended a Faculty Development Programme on Applications of Finite Element Methods through ANSYS Software: at JNTUACE Pulivendula under TEQIP – II from 20th – 22nd January 2014. Attended a Short Term Course on “MECHATRONICS” at NITTTR Chandigarh from 19th – 23rd January 2015. Attended a Short Term Course on “Product Design and Process Optimization Using Designed Experiment” at Indian Institute of Technology Delhi from 18th – 20th March 2016. Attended a Short Term Course on “Internet of Things (IoT) Advanced Level” at JNTUA College of Engineering Pulivendula Organized by Engineering Staff College of India, Hyderabad from 06th – 10rd March 2017. 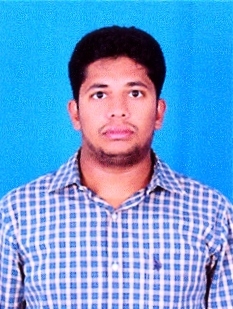 Presented a paper titled “OPTIMIZATION OF MACHINING PARAMETERS FOR GUN METAL IN END MILLING PROCESS” IN Annual International Conference on Materials Processing and Characterization at Gokaraju Rangaraju Institute of Engineering and Technology from 8th to 10th March 2012. Presented a paper titled “PREDICTION OF SURFACE ROUGHNESS USING MATHEMATICAL AND ANN MODELS IN END-MILLING OPERATION” in 4th National Conference on AIMS-2010 held at Kumaraguru College of Technology, Coimbatore. 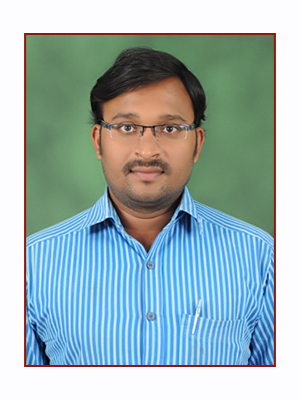 Presented a paper titled “Optimization of Surface Roughness & MRR in Turning Operation using Extended Taguchi Method” in AICTE Sponsored National Conference on Emerging Trends in Mechanical Engineering for Sustainable Development – 2014, held at RGMCET Nandyal on 22nd March 2014. Presented a paper titled “Optimization of Turning Parameters & Cutting Tool wear on AISI 1040 using Utility Theory & Taguchi Method” in 2nd National Conference on Innovations in Mechanical Engineering, held at MITS Madanapalli on 18th & 19th December 2014. Presented a paper titled “Modeling and Analysis Functionally Graded Material for Disc Plate under Mechanical Loads”, at Indian Technology Congress 2015, held at NIMHANS Convention Centre, Bengaluru on 29th & 30th July 2015. Presented a paper titled “Experimental Investigation on Machining Characteristics in EDM”, in National Conference on Trends in Mechanical Engineering, held at JNTUACE Ananthapur, on 23rd September 2015. K.Pavan Kumar Reddy, Y.Rameswara Reddy, R.VishnuVardhan Reddy, “Optimization of Surface Roughness and MRR in Turning Operation Using Extended Taguchi Method”, International Journal of Engineering Research, Vol. 3, Issue: Special 1, pp. 92 – 96, 2014, ISSN: 2319 – 6890 (Online), 2347 – 5013 (Print). D.Rajabhushan, R.Vishnu Vardhan Reddy, “Human Knee Joint MRI Digital Fabrication of 3D Printed Scaffolds”, International Journal of Advance Engineering and Research Development, Vol. 4, Issue: 8, pp. 467 – 472, 2017, ISSN: 2348 – 4470 (online), 2348 – 6406 (Print). S.Rafiuddin, R.Vishnu Vardhan Reddy, “Optimal Design and Analysis of Wind Turbine Blade and Hub Coupled System”, International Journal of Advance Engineering and Research Development, Vol. 4, Issue: 9, pp. 638 – 646, 2017, ISSN: 2348 – 4470 (online), 2348 – 6406 (Print). Attended for “A One Week Short term course on Solid Works Software” jointly organized by Department of Mechanical Engineering, JNTUH College of Engineering, Hyderabad and Logical solutions Limited from 28th January to 2nd February 2013. Attended a AICTE sponsored short term course on “Applications of LASERS in Manufacturing” held at IIT Guwahati, organized by the Department of Mechanical Engineering During 24th to 28th June- 2013. Attended for A five day short term course on “Essential Techniques for research problems in materials and manufacturing (ETRPMM)” held at NIT Warangal organized by the material science department during 14th – 18th April-2014. Attended a QIP short term course on “Advanced Aerospace Materials: Processing Characterization And Application” from 1st – 5th June 2015 organized by the material & metrology and polymer science departments, Indian Institute of Technology Roorkee, Roorkee. Attended a TEQIP-II Sponsored Short Term Course on “Product And Process Optimization Using Designed Experiments” from March 18-20, 2016 organized by Department of Textile Technology, Indian Institute of Technology Delhi, New Delhi. Attended a Self Financed Short Term Course on “Numerical optimization Techniques (NOT-2016)” from September 8th to 12th 2016 organized by Department of CIVIL Engineering, MNNIT, Allahabad. Attended a GIAN course on “Micro and Nano Manufacturing Processes” from 5th-10th December 2016 jointly organized by MHRD Govt of India and IIT, Madras. Attended a TEQIP-II sponsored short term course on “Paper and Article Writing with LATEX” during 17th to 19th, March 2017 Organized by Department of Electrical and Electronics Engineering, JNTUA College of Engineering, Pulivendula. Presented a paper in National Level Conference on Advances in Mechanical Engineering title on “Multi-Objective Optimization of the Surface Roughness and MRR in Turning Operations Using Gray-based Taguchi Method” at School of mechanical Engineering, Vignan University. On 5th and 6th of April-2013. Presented a paper in National Level Conference on Emerging Trends in Mechanical Engineering for Sustainable Development-2014 title on “Optimization Of Surface Roughness & MRR In Turning Operation Using Extended Taguchi Method” at Department of Mechanical Engineering, RGM CET, Nandyala. On 22nd March 2014. Presented a paper on title “Optimization Of Turning Parameters & Cutting Tool Wear On AISI 1040 Using Utility Theory And Taguchi Method” in the second national conference on Innovations in Mechanical Engineering during 18th & 19th December 2014. Presented a paper in national conference on trends in mechanical engineering title “Design and analysis of three wheeler automobile helical gear” at JNUTA College of Engineering Anantapur during 23rd -24th September 2015. Presented a paper in national conference on trends in mechanical engineering title “Design and fabrication of Multi-Functional Elevator” at JNUTA College of Engineering Anantapur during 27th August 2016. Participated in “National Symposium of Mechanical Engineering Research Scholars (NSMERS 2016)” held on 7th october, 2016 at NIT Warangal, Telangana state, India. Mr.K.Pavan Kumar Reddy , Dr.K.Srinivas, “Multi-Objective Optimization of the Surface Roughness and MRR in Turning Operations Using Gray-based Taguchi Method” National Level conference Proceedings, at School of mechanical Engineering, Vignan University. On 5th and 6th of April-2013, PP-107. K.Praneeth Kumar, K.Pavan Kumar Reddy, “Design and analysis of three wheeler automobile helical gear” National Level Conference Proceedings, at JNTUA college of Engineering, Anantapur PP-79. Y.Pratap Kumar, K.Pavan Kumar Reddy, “Design and Analysis of Aircraft Wheel hub” in International Association of Engineering & Technology for Skill Development ISBN:978-15148872-194. K.Pavan Kumar Reddy, G.Janardhan Reddy, “Development of Single Point Incremental Forming Process on CNC Milling Machine Using 3D Printed Fixture Arrangement” Published in IJAERD, Volume 04 Issue 09, September-2017. e-ISSN : 2348 – 4470, p-ISSN : 2348-6406, UGC Approved. Impact factor – 4.72 (SJIF 2017). K.Pavan Kumar Reddy, C.Raghavendra, “Optimization Of Various Machining Parameters Of Edm By Using Genetic Algorithm” Published in IJAERD Volume 04 Issue 09, September-2017. e-ISSN : 2348 – 4470, p-ISSN : 2348-6406, UGC Approved. Impact factor – 4.72 (SJIF 2017). 1. Attended a National Seminar on Advances in Nuclear Power Generation at Gokaraju Rangaraju Institute of Engineering and Technology, Hyderabad held on 23rd and 24th December 2009. 2. Attended a Faculty Development Program on AUTOCAD 2011at JNTUA College of Engineering Pulivendula from 22nd to 25th November 2011. 3. Attended MISSION 10X workshop conducted at JNTUA College of Engineering Pulivendula from 26th to 30th December 2011. 4. Attended a Faculty Development Program on Advanced Machining Techniques at Gokaraju Rangaraju Institute of Engineering and Technology, Hyderabad from 16th to 18th January 2013. 5. Attended a Faculty Development Program on Modeling and Simulations using Finite Element Methods at Indian Institute of Technology, Roorkee from 7th to 11th January 2014. 6. Attended a Faculty Development Program on CFD Applications Using STAR CCM+ at JNTUA COLLEGE of Engineering Pulivendula from 16th to 18th January 2014. 7. Attended a Faculty Development Program on Applications of Finite Element Method Through ANSYS Software at JNTUA COLLEGE of Engineering Pulivendula from 20th to 21th January 2014. 8. Attended a Short Term Course on MECHATRONICS at National Institute of Technical Teachers Training and Research, Chandigarh from 19th to 23rd January 2015. 9. Attended Continuing Professional Development Programme on Internet of Things(IoT) Advanced Level organized by Engineering Staff College of India at JNTUA College of Engineering Pulivendula from 6th to 10th March 2017. 10. Attended a Faculty Development Programme on Rapid Casting Techniques at Gurunanak Institute of Technology, Hyderabad from 27th November to 09th December 2017. K.Venkata Narayana Raju, B.Yeswanth Kumar Reddy, “Design and Simulation of Die Casting Mould using Robot Paths”, International Journal of Innovative Research and Development, Volume 4, Issue 8, July 2015. AICTE Sponsored FDP Two Weeks Short term course on “Computational Methods for flow and heat transfer analysis-Application of CFD Tools”. Participated in the 3 day TEQIP short course on “Engineering Noise Control” held at IIT Hyderabad during December 22-24, 2014. Participated in TEQIP sponsored two day National level Faculty development program on “ENTREPRENEURSHIP DEVELOPMENT INITIATIVE IN INDIA in collaboration with IEEE Hyderabad section” organized by the department of Computer Science Engineering, JNTUA College of Engineering, Pulivendula during 16th -17th , March 2016. Participated in two day FDP at USHA International Ltd, Hyderabad. under CII-TEQIP project organized on 8-9th January 2015. Participated in 5 days “Pedagogy” Program Conducted at JNTUACE Pulivendula. 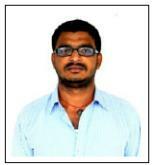 Attended for 2 days FDP on “Auto CAD 2011” Conducted at JNTUACE Pulivendula. Participated in 5 days a Mission 10X workshop on “FMP” Conducted at JNTUACE Pulivendula. Participated in two day FDP on “CFD Applications using star CCM+” held at JNTUACE Pulivendula on 16-18th January 2014. Participated in two day FDP on “Applications of Finite Element method through ANSYS Software” held at JNTUACE Pulivendula on 20th -21st January 2014. Attended for “A One Week Short term course on “Refrigeration and Automobile Air conditioning” organized by Department of Automobile Engineering, MVSR College of Engineering, 23rd July to 28th July 2018. Attended one day National level conference on Trends in Mechanical Engineering (TIME’2015) at J.N.T.U.A Ananthapuramu on 23rd September 2015. Participated & presented a paper in International Conference held at NIT Trichy, Tamil Nadu June 13th to 15th 2014. Participated& presented a paper in International Conference held at Royal Institute of Technology Hyderabad, Andhra Pradesh – February 2013. Participated & presented a paper in National Conference held at Andhra University Visakhapatnam, Andhra Pradesh – April 2013. Eco-Friendly Refrigerants as Alternatives for Refrigerant R134a – a Review – IJSER IISN: 4523-1287-5486 Vol. 8 pp122-132, May 2016. Published International Journal (Applied Mechanics and Materials), title “Air Cooling in Automobiles by using Vortex Tube Refrigeration System.” IISN: 1662-7482 Vol.s 592-594 pp 1408-1412, May 2014. Published International Journal (IJEST), title “Air Cooling in Automobiles by using Vortex Tube Refrigeration System.” ISSN: 0975-5462 Vol. 5 No.02 pp 341-348, February 2013. B.Vamsidhar Reddy ” Static Structural Analysis of Multiplate Clutch With Different Friction” Indian technology Congress, held at Bangalore, 29-30 July2015. Mr. B. Vamsidhar Reddy, C. Chandra Teja ” Processing And Characterization Of Coconut Coir-Human Hair Reinforced Epoxy Based Composites” International Journal of Advance Engineering and Research Development (IJAERD ), Volume 4, Issue 8, August-2017, E-Issn:2348-4470, Print-Issn:2348-6406. Mr. B. Vamsidhar Reddy ” Processing and Characterization of Coconut Coir- human hair reinforced Epoxy based Composites” International Journal of Advance Engineering and Research Development (IJAERD ), Volume 04 Issue 09, September-2017. e- ISSN: 2348 – 4470, p-ISSN: 2348-6406. 1. Attended a National Level “Faculty Development Program on Auto CADD 2011” Organized by Department of Mechanical Engineering at JNTUA College of Engineering Pulivendula from 22nd to 25th November 2011. 3. Attended a Faculty Development Programme on “APPLICATIONS OF FINITE ELEMENT METHODS THROUGH ANSYS SOFTWARE” at JNTUA College of Engineering Pulivendula under TEQIP – II from 20th – 22nd January 2014. 7. Attended a Five Day Short Term Course on “SOLID AND SURFACE CAD MODELLING WITH CAM APPLICATIONS IN CNC MACHINING” from 19th to 23rd January 2015 at IIT Kharagpur. 10. Attended a Two Day National Level workshop on “TEACHING DYNAMICS FOR ENGINEERING FACULTY” Organized by Department of Humanities and Social Sciences at JNTUA College of Engineering (Autonomous) Pulivendula under TEQIP – II from 14th – 15th March 2017. 11. Attended a Three Day Sponsored Short Term Training Program On “ PAPER AND ARTICLE WRITING WITH LATEX” Organized by Department OF Electrical l& Electronics Engineering JNTUA College of Engineering (Autonomous) Pulivendula under TEQIP-II from 17th – 19th March 2017. 13. Participated a six days a Faculty Improvement Program (FIP) on “CATIA V5 R20” Organized by Engineering (APSSDC) Department of Skill Development, Entrepreneurship & Innovation, Government of Andhra Pradesh from 10 April 2017 to 15 April 2017 at N.B.K.R. Institute of Science & Technology, Nellore. 1. Presented a paper with titled as “Design and Structural and Thermal Analysis on Rail Wheel And Axle” in National Level Conference on Trends in Mechanical Engineering (TIME’15) Organised by JNTUACE Anantapuramu. 2. Presented a paper with titled as “Design, Modeling and Analysis of Two Bottom Reversible Plough” in National Conference on Emerging Trends in Mechanical Engineering (NC e-TIME’16) 14th July 2016 Organised by JNTUACE Anantapuramu. 3. Presented a paper with titled as “Design, Design and Fabrication of Solar Tricycle for Handicapped Person” in National Conference on Emerging Trends in Mechanical Engineering (NC e-TIME’16) 14th July 2016 Organised by JNTUACE Anantapuramu. 4. Presented a paper with titled as “Design and Fabrication of Solar Tricycle for Handicapped Person” in “NSMERS” National Symposium of Mechanical Engineering Research Scholars on 7th October 2016 Organised by the Department of Mechanical Engineering, NIT Warangal. 1. Published a paper with titled as “Design, Analysis and Fabrication of Vertical Axis Wind Mill” in “IJMETMR” International Journal & Magazine of Engineering, Technology, Management and Research, ISSN No: 2320-3708 (Print), ISSN No: 2348-4845 (Online), Vol: 02, July 2015, page number: 292-295. 1. Actively participated in “Essentials for NX Designers” conducted at JNTUA College of Engineering Anantapur, Organized by SIEMENS Center of Excellence from 18 Dec 2017 to 23 Dec 2017 at Ananthapuramu. 1. Attended for “A One day workshop on Human values and professional ethics” organized by JNTUA College of Engineering, Anantapur on 04th July, 2014. 2. Attended for “A Two day workshop on Entrepreneurship Development program” organized by AU College of Engineering (Autonomous), Vishakhapatnam on 16-18 December 2015. 3. Attended for “two day national workshop on Composite materials: characterization and its applications” organized by JNTUA college of engineering (Autonomous), Pulivendula on 19-20 October 2016. 4. Attended for “Six day Faculty development program on Essentials for NX Designers” Conducted by JNTUA College of Engineering, Anantapur on 18 – 23 December 2017. 5. Attended for “Two weeks Faculty development program on Industrial Robotics” Conducted by JNTUA College of Engineering, Anantapur on 09 – 21 JULY 2018. 1. Presented a paper in National Level Conference on Emerging trends in Mechanical Engineering “Design and fabrication of Banana fibre Extraction machine” at department of mechanical Engineering, JNTUA College of Engineering, Anantapur. On 27th August 2016. 2. M.Mahesh Reddy, C.Chandrasekhar Reddy, “Optimal Design & analysis of compression helical spring for enhancement of life.” Published in IJAERD, Volume 04, ISSUE 11, NOVEMBER 2017. e-ISSN (o): 2348-4470, p-ISSN (P): 2348-6406, UGC Approved. Impact factor (SJIF): 4.72. 1. Attended a Two day national workshop on“Composite materials: Characterization and its applications” organized by Department of Mechanical Engineering, JNTUA College of Engineering, Pulivendula during 19th and 20th October 2016. 2. Attended a Two day national workshop on “Teaching dynamics for engineering faculty” organized by Department of Humanities and social sciences, JNTUA College of Engineering, Pulivendula during 14th and 15th March 2017. 1. V.Madhu sudhan reddy, A.G venkatesh, “ Experimental analysis of a welding component made with copper alloy electrode cap tip in resistance spot welding” Published in IJAERD, Volume 04 Issue 08, August-2017. e-ISSN : 2348 – 4470, p-ISSN : 2348-6406, UGC Approved. Impact factor – 4.72 (SJIF 2017). 2. V.Madhu sudhan Reddy, K.M.Abraham, “ Influence of cutting fluids on the carbide tool life in milling operation” published in IJMEAATR, ISSN 2348-2370, volume no.3, issue no.2, November 2014. 1. Attended for “A One Week Short term course Numerical and Optimization Techniques (NOT-2016)” organized by Department of Civil Engineering, Motilal Nehru National Institute of Technology Allahabad8thSeptember to 12thSeptember 2016. 2. Attended for “Two Day National Level Workshop on Research Methodology in Science and Technology” organised by TEQIP-II, JNTUA college of engineering, pulivendula during 17th and 18th October 2016. 3. Attended for “Two Day National Level Workshop on Research Trends in Fluid Dynamics and Numerical Techniques”organised by the Department of Mathamatics, JNTUA college of engineering, pulivendula during 21stand 22ndOctober 2016. 4. Attended for “Two Day National Level Workshop on Teaching Dynamics for Engineering Faculty” organised by the Department of Humanities and Social Sciences, JNTUA college of engineering, pulivendula during 14th and 15th march 2017. 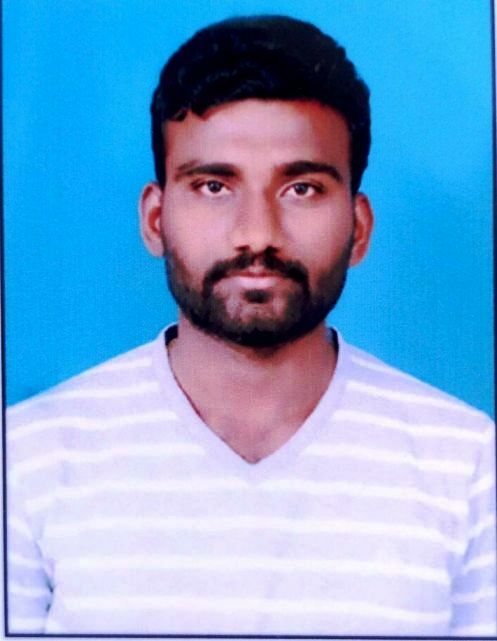 1.B.Purushotham Naik ,G.Janardhan Reddy, “Development of Single Point Incremental Forming Process on CNC Milling Machine Using 3D Printed Fixture Arrangement” Published in IJAERD, Volume 04 Issue 09, September-2017.e-ISSN : 2348 – 4470, p-ISSN : 2348-6406, UGC Approved. Impact factor – 4.72 (SJIF 2017). 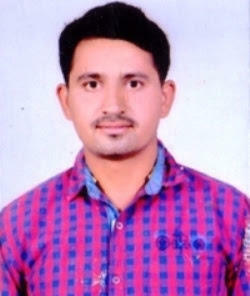 Participated in Faculty Development Program on AutoCAD 2011 at JNTUA College of Engineering, Pulivendula in November 2011. Participated in Faculty Development Program on Advanced Machining Process at GRIET in January 2013. Participated in two day workshop on Designing Solar PV Systems at CMR Engineering College, Hyderabad in August 2014. Participated in Faculty Development Program on Finite Element Analysis-Structural Applications Using ANSYS at CMR Technical Campus in December 2014. Participated in one day workshop on Zooming concepts in Research Methodology at CMR Engineering College, Hyderabad in February 2015. Participated A National level hands on workshop on Accreditation Quality Enhancement through Outcome Based Engineering Education at Guru Nanak Institutions, Hyderabad in November 2015. Participated in Faculty Development Program on Human Values & Professional Ethics at CMR Engineering College, Hyderabad in December 2015. Participated in one day workshop on Nanoelectronics & its applications at CMR Engineering College, Hyderabad in January 2016. Participated in Three Day Faculty Development Program on Research Trends & Issues in Mechanical Engineering at Malla Reddy Engineering College, Hyderabad in February 2016. Participated in A One Week Faculty Development Program on Applications Of CFD In Thermal-Fluids Engineering at CMR Engineering College, Hyderabad in March 2016. Published a Paper Entitled Design and Parametric study of two wheeler piston by aluminum alloy (7475-T761), In organizing committee of the IJSETR, at Hyderabad in March 2016. (Volume No.05, Issue No.7 IJSETRVO5ISO7P9012). Published a Paper Entitled Optimization of the surface roughness parameters and MRR in turning operation using Taguchi Method of Aluminum HE30, In organizing committee of the Seminar Groups, at Hyderabad in March 2016. (IJATIRVO8ISO3P9013). 1.Participated in 10 days program of “BRITISH COUNCIL “ which is conducted through Andhra Pradesh Higher Education English Communication Skills Project(APSCHE) to improve the employment skills , at JNTUACEP pulivendula 2017. 1. Presented a paper in National Level Conference on “EMERGING TRENDS IN MECHANICAL ENGINEERING (NC e-TIME’16) Organized by Department Of Mechanical Engineering, at JNTUA college of engineering ananthapuramu, On 27thAugust,2016. 1. Participated in “Automobile Anatomy 100% Hands-On Workshop” Organized by the mechanical department of AP IIIT,RK Valley affiliated to RGUKT ,during 20th to 25th December 2012. 2. Actively participated in “Essentials for NX Designers” conducted at JNTUA College of Engineering Anantapur, Organized by SIEMENS Center of Excellence from 26Feb 2018 to 03 Mar 2018 at Ananthapuramu. 3. Participated in a National Level Students Technical Symposium as a session chair in YANTRA 2K17 held during 8th and 9th September 2017. 1. 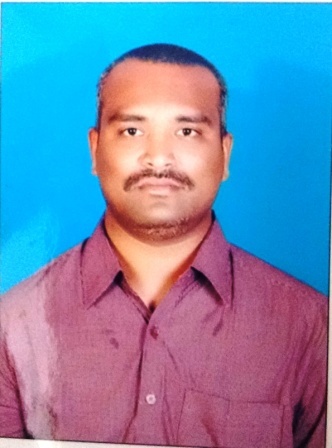 Attended for the summer Internship project on “ Performance Of The Power Plant And Focused On The Boiler” in RTPP, Andhra Pradesh Power Generation Corporation Limited(APGENCO) at V.V Reddy Nagar, Kadapa District during 24.04.2013 to 24.06.2013.